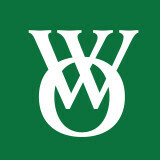 Vineyard Cedar Works has been in business on the island of Martha's Vineyard since the Spring of 1994. While much of our work is on the Vineyard, we are happy to take on custom jobs anywhere in the U.S. and ship. Call us for a quote. Vineyard Cedar Works is a design and fabrication company of distinctive fences. 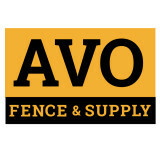 We offer historically designed products and contemporary fences. 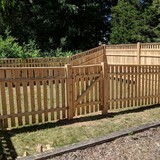 Most of our fences are constructed of premium #1 Northern White Cedar, and clear Western Red Cedar. All of our fence panels are created from raw dimensional lumber, which are hand picked to ensure that when we construct our fence panels, that the quality will surpass what you can buy from our competitors. Most of our framed fence panels are assembled using premium adhesives and stainless steel ring nails, and all-weather screws. All of our premium fence panels are pre-drilled to receive screws or nails, to attach the panels to any post. Your Narragansett Pier, RI fence installation and repair professional will work with you to create your ideal fence. 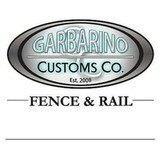 Find a fence contractor in Narragansett Pier, RI on Houzz. Narrow your search in the Professionals section of the website to Narragansett Pier, RI fence contractors. You can also look through Narragansett Pier, RI photos to find examples of fencing and gates that you like, then contact the professional who worked on them.